Strawberry energy Company from Serbia is the winner of the startup competition within the Belgrade Venture Forum, the largest venture capital and private equity investment forum in Serbia, in organization of Serbian Venture Network (SeVeN). 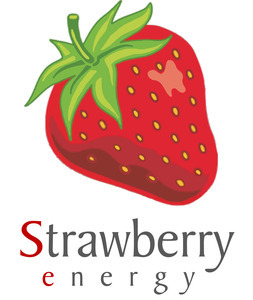 In April 2011, Strawberry energy won the first place at the "Sustanable energy week" in Brussels in organization of the European Commission. Strawberry energy was in that time the only competitor coming from the country that is not the member of European Union, and the only team consisted of students. We develop smart green urban devices in order to improve our everyday lives in cities. Our Strawberry Tree, a solar standalone device and a smart city platform, provides 16 built in cables for free mobile phone charging, WiFi internet, local information, environmental sensing and a place to hang out in a city. It is a connected outdoor device and social hub in the public places in the city, where people gather and socialize. As a smart city platform, it can include new features and will further grow in more directions, to make people’s lives in cities even better. So far we installed Strawberry Tree in 9 different cities in Europe and had more than 351,000 users. We bring IoT to outdoor public spaces that people visit daily, to improve urban living by making cities smarter and more convenient for people. Our goal is to transform urban places, providing people power, connectivity and real time local data in every corner of cities across the world. Current business model is based on making revenue through sales to diverse entities such as telecommunication companies, cities, public enterprises and throug diverse fonds that support innovation and promotion of renewable energy sources. However, the company is working on a new business model which will have the advertising elements and is looking for investors that would support it. Smart electronics which makes solar chargers more energy efficient, with modules for intelligent system control, better power management, measurement of number of mobile device chargings, sending automatic reports to server, energy flow measurement etc.